My husband and I received a slow cooker as a wedding gift when we got married almost 4 years ago. It comes in handy on many occasions, especially now that I am a mom. A few months ago I discovered a slow cooker recipe for salsa chicken on Pinterest, and it sounded like the perfect pair for the homemade tortillas that I sometimes make. 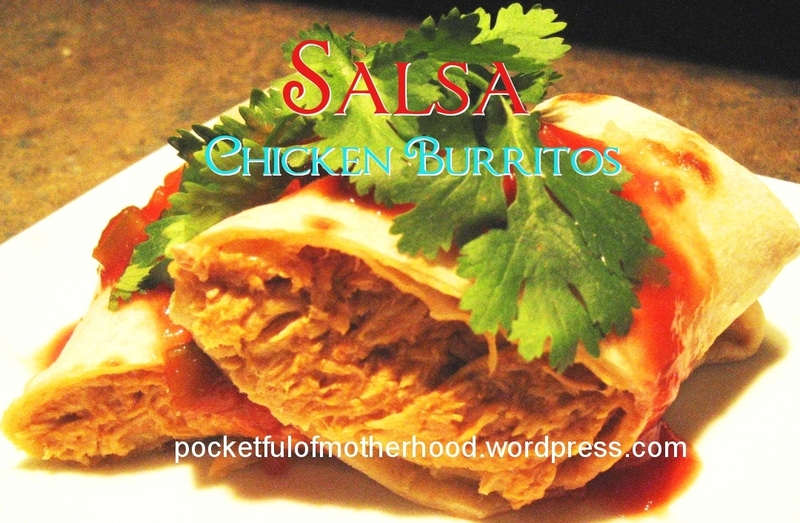 So I created these Salsa Chicken Burritos and they were a hit with my family! First place the chicken breasts in the slow cooker. Then add the cream soup and salsa. 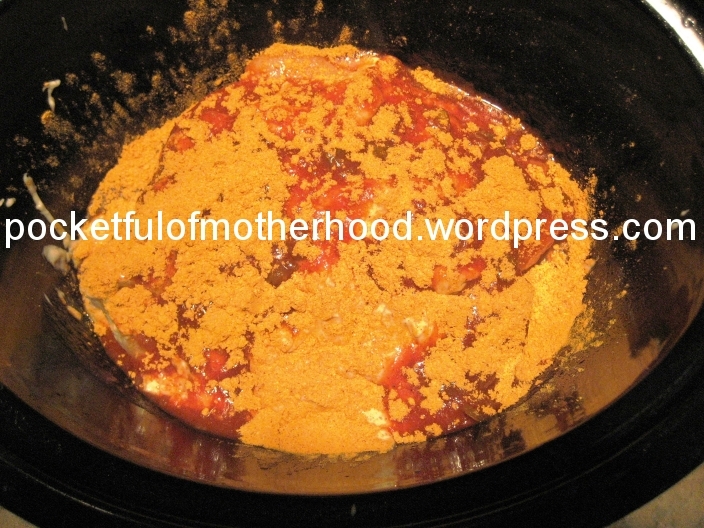 Evenly sprinkle the taco seasonings over the top, cover and cook on low for about 6 hours. The chicken will be very tender and ready for shredding. I use a pair of metal tongs to shred the chicken right in the slow-cooker. The chicken comes apart so easily this way. Once done with the shredding, add the sour cream and give everything a good stir. Put the lid back on and let it continue to cook on low for about 30 minutes. Keep an eye on it because the added sour cream has a tendency to burn if it cooks too long. Fill the tortillas with salsa chicken, sprinkle with the desired amount of cheese and roll them up to make burritos. Garnish with cilantro if desired. 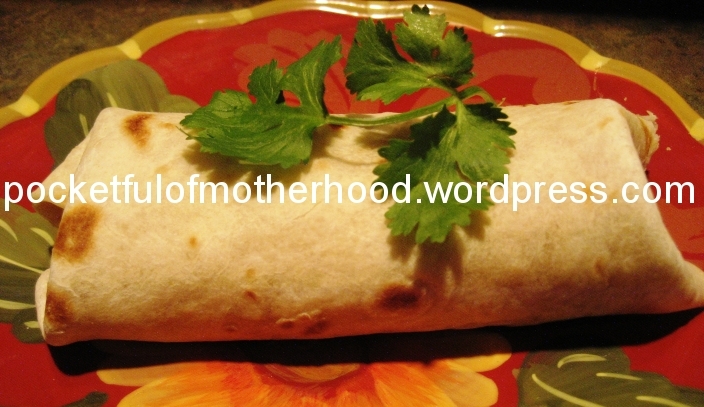 These tasty burritos go well with a side of black beans, corn or a tossed salad. 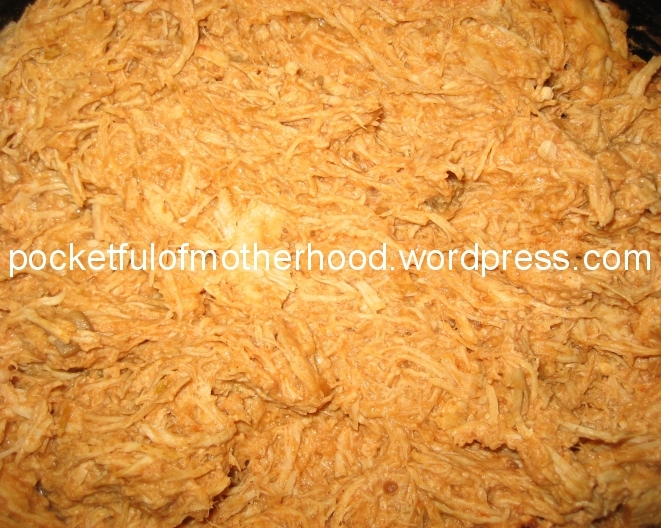 This recipe makes a generous amount of chicken and will feed several people. We always have plenty of leftovers in my home since we are a three person family. With the leftovers you could easily make some burritos, wrap each one individually in foil and freeze them for later use. Enjoy!